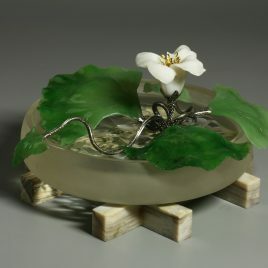 Materials: jade, silver, quartz iridescent (ie rainbow) obsidian. 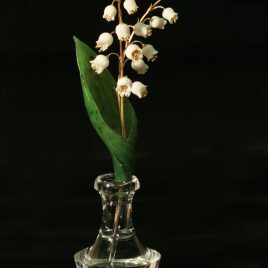 Size: 13 cm. 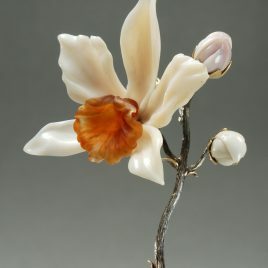 Designed in the style of Fabergé and fabricated in Russia by a contemporary artist, the present flower study is carved of white Kascholong opal from the Caspian Sea region. 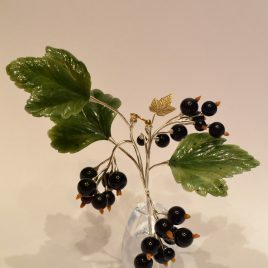 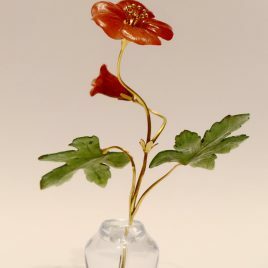 Accented with a ladybug which is carved of carnelian, set with very small, near-colorless diamonds as well as black diamonds. 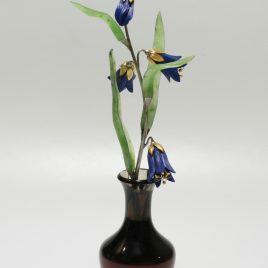 The vase is carved of Armenian obsidian. 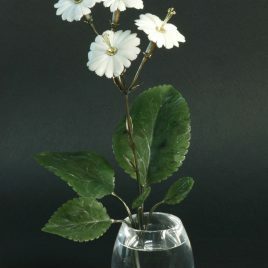 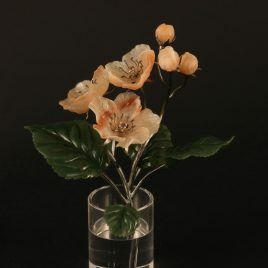 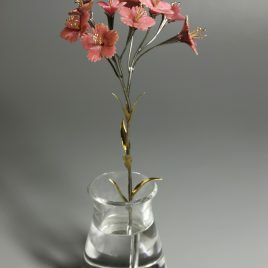 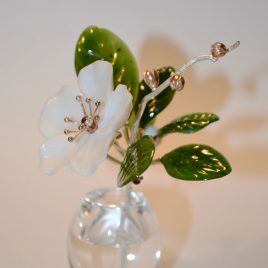 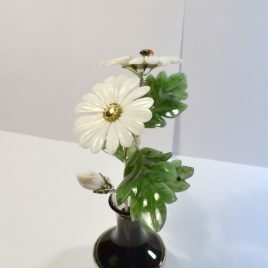 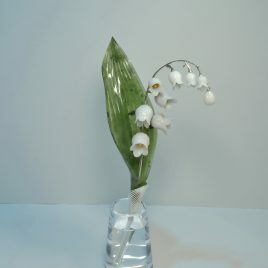 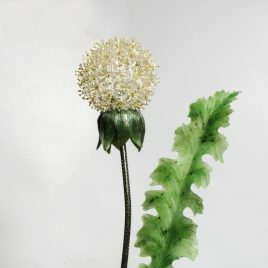 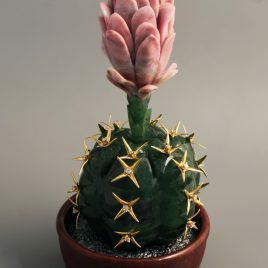 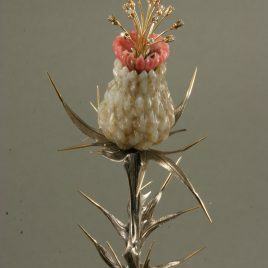 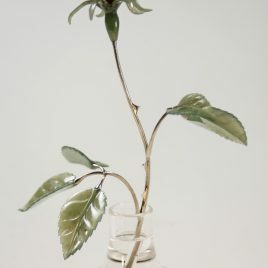 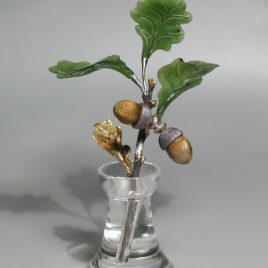 The flower has silver stems and adornment to the vase with four nephrite leaves. 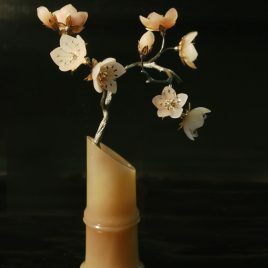 Material: Brazilian agate, cubic zirconia. 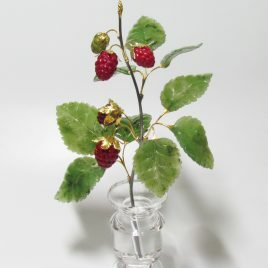 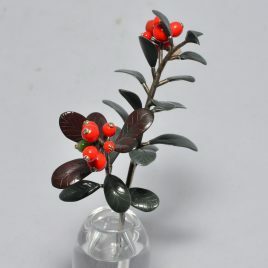 Multi-gemstone Carving--"Berries in a Vase"
Russia Red jasper and green nephrite berries . 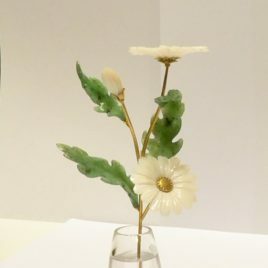 The leaves are carved of green jasper, in an optically clear rock crystal quartz vase. 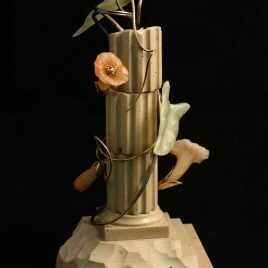 Our sculptures from stone, we are trying to revive the spirit of the works of the great master, working in his style, to meet the expectations of buyers. 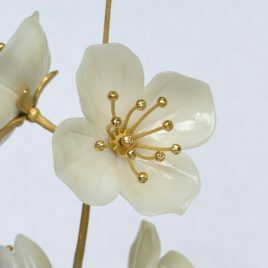 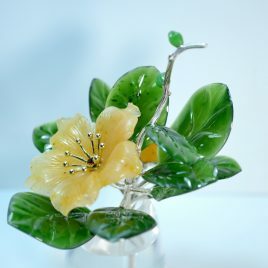 jade , offers shops stone-flower always lovely souvenir to remind you of the owner for a long time . 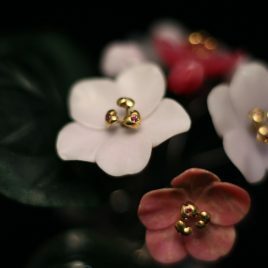 the hands of skilled craftsmen , who have invested in jade whole soul and years of experience . 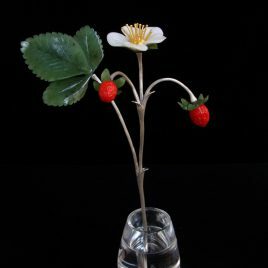 Strawberries, Azalea, Jasmine, Magnolia, Lilies, Lingonberry. 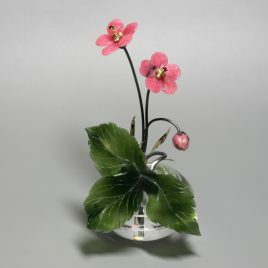 long time because they are timeless , the influence of the external environment.